I agree. Coming into the season, our starting secondary was a concern. Take 3 out of 4 starters away through injury (Delmas, Bently, Spievey) plus injuries to what little of the depth there is, and it's no wonder that an already week unit becomes an awful one. Again, I agree. I am not impressed with Lesure at this point. The guy doesn't seem to have any feel for what holes to hit. The holding penalty on Backus that effectively cost us a drive in the 4th Q, IMO came because Lesure made an awful decision to run outside Backus rather than inside. The Lions have a number of problems, and there are definitely things Staff needs to sort out, but his problems are not our biggest concerns. Had a good time at the game, frustrating but nothing new. Secondary is awful, I don't know how many plays but they had there WR wide open for an easy catch. I think the secondary and coaching is the biggest problem right now. 1. After falling behind early once again, the Lions have now been outscored 53-28 in the first quarter of their games this season and 107-75 in the first half overall. It will take some time and deep analysis to determine why that is happening. Are the Lions' initial gameplans, on both sides of the ball, inadequate? Are they matching up poorly against what the best opponents have to offer, and then making hay only when offenses pull back and defenses fall into safer zones? Here's what we can say about Sunday's game: Quarterback Matthew Stafford completed only three of 10 passes when the margin of the game was fewer than 10 points, according to ESPN Stats & Information. When the Lions trailed by 10 points or more, Stafford completed 25 of 32 passes, including three touchdowns. Receiver Calvin Johnson, meanwhile, caught 11 passes for 196 yards when the Lions faced a deficit of at least 10 points. It's not necessarily fair to conclude Stafford and Johnson simply did all their damage in "garbage time," but their season-long trend of doing most of their best work when trailing isn't necessarily positive, either. 2.The Vikings' 54-yard pass play in the first quarter encapsulated everything that has been disappointing about the Lions' defense this season. On a third-and-9 call, they used a scheme that should have worked given their personnel. They rushed four defensive linemen, presumably the strength of their team, and protected the pair of backup safeties who have been forced to start by putting them in a deep Cover-2 zone. But generally speaking, the Lions' defensive line has been as dominant as predicted this season. On this play, defensive tackle Ndamukong Suh didn't get into his three-point stance before the snap and was handled easily (albeit in a double team) by center John Sullivan and right guard Brandon Fusco. Nose tackle Nick Fairley got some penetration on left guard Charlie Johnson, but quarterback Christian Ponder stepped up past him. Meanwhile, receiver Jarius Wright got behind safety Erik Coleman in a coverage designed to keep all receivers in front of the safeties. "We let the guy go right down the seam," coach Jim Schwartz said. "But then, our pass rush allowed [Ponder] to make a javelin throw. He got about three crow hops before he threw it." The ball traveled 54 yards past the line of scrimmage, or about nine times the average distance of Ponder's throws this season. That play will haunt the Lions for some time. 3.With that said, let's note that Fairley played a pretty good game in place of the injured Corey Williams. Fairley had the Lions' lone sack, made two other tackles for loss and hit Ponder on two occasions. He played on 51 of the Lions' 73 snaps, according to Pro Football Focus, for a season-high percentage of 69.9 percent. Fairley has had some ups and downs in two NFL seasons, but he has produced enough ups to give the Lions confidence that he is on his way to being a long-term starter. I'm not sure why receiver Titus Young felt compelled to take to Twitter on Monday morning and declare: "We don't need Know Some timing Fans, y'all can Go get on someone else's bandwagon!" (Actually, I do know why he did it. Young clearly has some growing up to do.) I'm sure Lions fans are upset with the Lions' disappointing followup to their 10-6 season in 2011, but in many ways that's a good thing. The only thing worse than fan discontent is fan ambivalence. Lions fans endured the worst 10-year stretch in the history of the NFL, and for the team's long-term health, it's better that they express anger than if they accepted this 4-5 record passively. I think most Lions players and coaches understand that, Young's immaturity notwithstanding. I just learned that Stafford's full name is John Matthew Stafford. was anyone else aware of this? Yes, his Dad's name is also John so I'm guessing that is why he goes by Matt(hew). It's a apparent disconnection between mayhew and Schwartz IMO. Mayhew is assembling a team that can put a ton of points on the board, a pass happy offense. Schwartz obviously wants a run first offense. The personnel doesn't fit what Schwartz/linehan want on offense and Gunther is just damn loony on defense. The wide 9 with the DTs we have and playing 10 yards off WRs is obvious to everyone. A high school team can game plan for this defense, the scheme and game planning is horrid. I usually agree with your posts, but I think you're just flat out wrong about the Schwarz/Mayhew disconnect. Based on everything I've read from Schwartz (pretty much every beat writer article since he's been here), what he wants is explosiveness on offense. Could be with the wide receivers, or could be with a guy like Best in the backfield. The Reiff jumbo package is a new wrinkle that we've instituted because of the coverage we've been seeing and the personnel we're working with (Leshoure our primary back, talented 1st round rookie tackle when our veteran tackles are playing well). It's not evidence of a Schwartz/Mayhew disconnect. Now Gunther I'm sympathetic towards. He is working with absolute garbage in the secondary--this past week was the first time we had the same defensive backfield starting, and that included an UDFA and sixth-round rookie corner. The fact that in general we've hovered around 9th or 10th for team defense is nothing short of phenomenal. For me, the biggest question is, who's responsible for the slow starts? As the defense usually shows up for all or most of the game, you have to look at Linehan. He's done a lot of good things while he's been here, but game planning is apparently not his strength. He will be the scapegoat at the end of the season if we finish worse than 8-8. (No matter how we finish, I expect Crossman and Logan to be gone). I agree about linehan. every team starts with prescripted plays. why does this team ALWAYS start in the tank, week in and week out durring those pre scripted plays? The team also seems to play better in a no huddle situation. why are we waiting untill the 4th quarter to enact that? IMO Linehan needs to be held accountable for that. We have talent, I watched them score in the blink of an eye, and my hopes soared, until the end when they AGAIN, put a knife in my heart. I started asking myself, what is going on, why is this team playing this way, and the only thing I can figure is we've lost heart. Last year we had a fire in the belly, a desire to win and the team did. This year we have taken repetitive hits in the character of players off field issues. A team that was young and hungry has been castrated by it's own success. 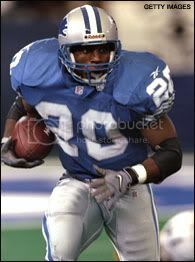 There doesn't seem to be any heart, and players like Fairley, and LeShoure should be HAMMERED by the Lions. If it's a discipline issue, they should follow the example of the military's sacrifice the virgin mentality. Someone breaks an infraction you come down HARD. The theory is, others will see that and not want that to happen and so they mind their ways. It's tough for the individual, but good for the team. Fairley, LeShoure, and the other knucklehead, and now Suh, and some stuff by Titus is all contributing to the cancer that is killing the heart of this team. It's time for some HARD DISCIPLINE. I'd say make it public, and difficult, to include community service, and fines, and so on, in order to serve as a warning to the team, and help the community by leading by example. Then again, the union will probably squawk, and they'll get away with a wrist slap. What's changed? Not much... This team has been playing .500 ball since our 5-0 start last season. Within that 5-0 start were some amazing, and somewhat lucky huge comebacks. In reality, we should have been 3-2 then. Discipline? The Lions are more disciplined since the start of the season. No arrests. No players suspended for stupid stuff on the field. Fewer penalties. They also dumped a few of the players with "off the field" issues. I don't think fire in the belly or discipline are the primary issues this year. We had a great and lucky start last season that masked what kind of team we are. I think the big question is why do the Lions keep digging themselves in a hole? Our first half game plans aren't working - this needs to change. I would start by trying a lot of new things. For example, if I'm the OC I come out in a no huddle to start the game - create a sense of urgency right from the start, put the D on their heels and take advantage of matchups that the D can't sub for. I think its because we have a one dimensional offensive line. I cringe every time we try to run the ball. I cannot recall any play this year where our offensive line has blown the opposing defense off the line of scrimmage. they pass protect nicely but titus and broyles still havent figured out how to get open on a regular basis. It seems we game plan to start out losing to appease the NFL of dramatic comebacks with offensive firepower by running mindlessly into holes that are non existant and by half were down about 2 scores. after teams realize we must become one dimensional in the second half they back up allowing for quick scores. sure our defense is good, but they are clearly not built to be the strength of this team. My thinking exactly. I would also go with the "pass to open up the run" philosophy as well. we've been trying to force the run early in games and it's getting us no where. We are a pass first team and it's time we remember that!